Thank you for choosing to book the Dermal Filler Course- Part One 2 Days (Combined Botox and Filler Course 4500) course with us. The booking deposit is £250. Please complete the following booking form and press Submit at the bottom when done. You will be transferred to our payment partner site, PayPal. You can pay the booking deposit using your PayPal account if you have one, or using your credit card if you have no PayPal account. 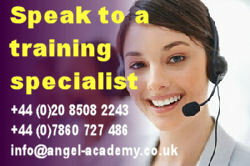 During the course of the training, you will enjoy the experience of being practised upon. To this end, it is important that you make us aware of any conditions that may prevent or restrict having a treatment performed upon you. These are known as contra-indications.